If you're constructing a new home—or even just expanding with an addition—you want only the best for your new space. So why choose a heating system you're not going to love? 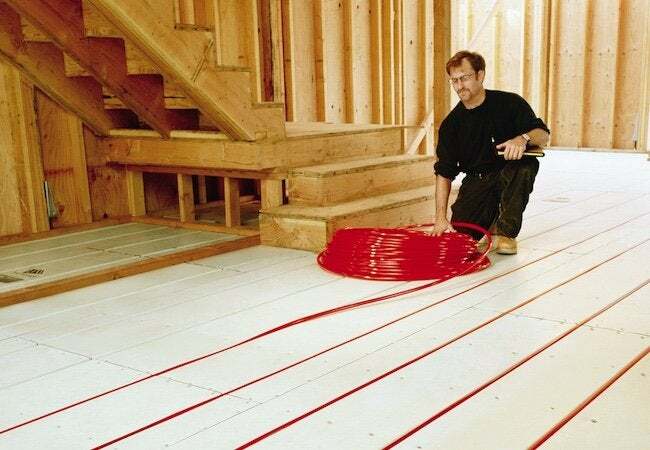 This is the perfect time to consider a radiant heating system, which costs less to run than a traditional setup, but provides what those old familiar systems can't—total comfort. Are you designing a home from scratch or even building an addition onto an existing home? Either affords a rare opportunity. You get to decide not only how the living space will look, but also how it will feel—drafty or uniformly comfortable, chilly or pleasantly warm. Depending on where you live, the heating system you select might mean the difference between annual dissatisfaction and total contentment. Unlike a wall color that can be altered countless times with relative ease, an HVAC system is a decision homeowners have to live with for decades. So now is the time to ensure your comfort for years to come. Growing up with, and mainly having been exposed to, one or another traditional heating system, most of us are accustomed to living with the real limitations of radiators, baseboards, and forced-air vents. Unfamiliar with the alternative, it’s as if we take for granted that home heating has to be hit-and-miss. Well, just as other technologies have advanced by leaps and bounds, HVAC has advanced too. And though it’s been around, in one form or another, for thousands of years, radiant heating has improved to the point of becoming a viable whole-home option well worth your consideration. Increasing numbers of consumers are choosing radiant heating for a host of reasons—its unparalleled energy efficiency, for example, or its indoor air quality benefits. But most important of all is the total comfort that radiant heating affords. Its “everywhere” warmth produces a qualitatively different experience than traditional systems provide. Indeed, radiant heating may change all your ideas about what home heating is and can be. In a room with a radiator, baseboard, or duct register—that is to say, in most rooms in America—it’s warmest right near the heat source and cooler farther away. That’s why you may find yourself needing a sweater when you’re lying on the sofa, then wanting to shed the extra layer when you’re sitting at the desk. Because radiant heating installs beneath the flooring, it delivers warmth across virtually every square inch of space. So when occupying different parts of a room, or when moving from one room to the next, you can always expect the temperature to remain the same. In the end, you simply stop noticing the heat’s on. In contrast, traditional systems constantly call attention to themselves. Take, for instance, today’s most common type of heating—forced air. When the system kicks on, heat roars into the room and continues for a period of time before grinding to a halt. Then, some minutes later, when the room has cooled down to a threshold point, another loud blast invades. With radiant, there are no blasts and no variations—simply steady, even, all-encompassing heat. Plus, whereas other systems make enough noise to interrupt conversation or wake you up at night, radiant heating operates in complete silence. Some people assume home heating has to involve dust and dry air. That’s not the case, although it may be what these people are used to. After all, forced-air systems kick up a lot of dust. Though intended to circulate warm air, ductwork also ends up distributing dust and other allergens, sometimes even spreading germs. In addition, ducted heating tends to lower the humidity level, in effect drying out the indoor air and creating stuffy, scratchy conditions. Radiant heating is a breath of fresh air, by comparison. Because the system heats the home from panels installed beneath flooring, there’s zero ductwork. That means a dramatic reduction in the number of airborne particles potentially exacerbating allergies or causing discomfort. At the same time, radiant heating operates in a way that does nothing to detract from the moisture content of the air, so you can say goodbye to those red eyes and that sore throat! Traditional heating systems are notorious for their inefficient design. Forced-air heating offers a prime example: As warm air journeys from the furnace to the conditioned space, there’s ample opportunity for the heat to be lost, even if it’s only through the joints that connect two sections of ductwork. To make up for the lost heat, the furnace must work harder—that is, consume more energy—to maintain the target temperature. So you’re essentially paying for the system to work overtime to correct its own flaws. Radiant heating, on the other hand, maximizes energy savings by minimizing heat loss. That said, not all radiant systems are alike. Yes, all offer advantages over traditional heating, simply by virtue of their design. But different radiant systems include different components, and those components can make a big difference in your monthly bills. In some radiant panels, hydronic tubes (or electric coils) are embedded in a slab of gypsum concrete. Though it’s not without virtues, concrete is too sluggish, too slow in its response time to be an effective component in a modern heating system. That’s why industry leader Warmboard makes panels not with concrete, but with highly conductive aluminum. Warmboard panels so effectively transfer heat into the home that the boiler can actually get away with heating the water in the system to a lower temperature than other systems would require—30 degrees lower. 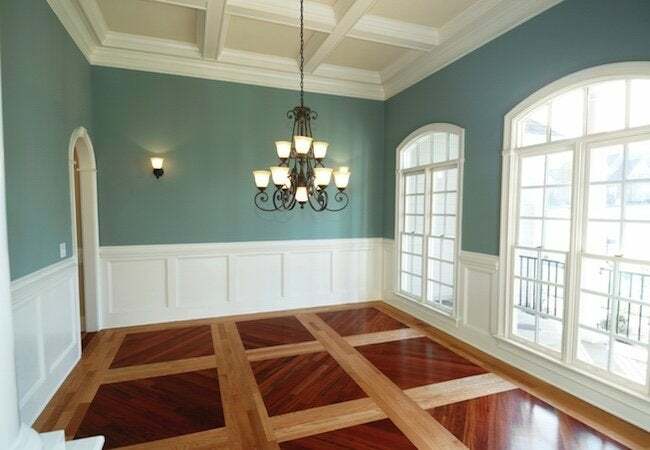 In fact, Warmboard requires the least energy of any radiant system on the market. With your boiler not having to work so hard, you save 10 to 20 percent on energy costs from month to month—and that’s in addition to what you’d already be saving by having chosen radiant over traditional heat. With radiant, you always get comfort; with Warmboard, you get comfort at a comfortable cost.